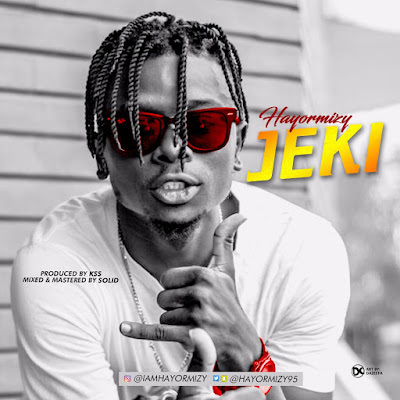 Sensational young asipiring act, HAYORMIZY is back with a new banger JEKI,produced by KSS and mixed by SOLID, coming out with fire this time..
You arent ready am sure...wait on it..ema forr...this one is mind blowing,captivating and a superdelivery.. NOTE : For BlackBerry Users, after download rename file name to ".mp3" without the quotes. E.g JEKI By Hayormizy.mp3 , then save.